I'm obsessed, you guys. 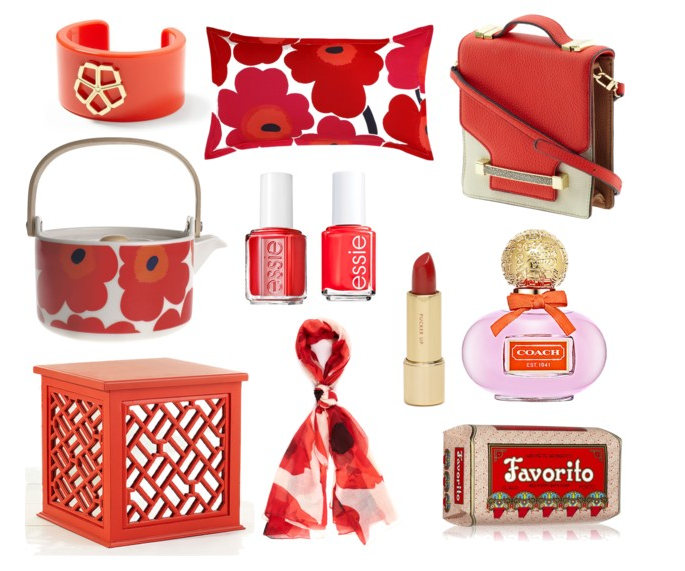 When Pantone announced poppy red as one of their spring 2013 colors, I almost died of happiness. I'm not a fan of red, but a subtle poppy gets me every time. As the temperatures have been ranging in the 30s here in Minneapolis lately, I'm finally starting to shed my cable knit sweaters, knit mittens and Ugg boots (ok, maybe not my Uggs). My fingers are crossed that spring really is in the air, and that warmer weather, flowers and sundresses are right around the corner. And as soon as they are, I'm popping out the poppy red. As Jack and I are currently beginning to look at new furniture and decor for our apartment (moving to our new place this July, fingers crossed!) I can't help but swoon over everything poppy. Seriously, I need to get a grip. I just can't help it. For me, this spring will be pleasantly poppy. Are you loving this spring color?